BRG Kings Island Golf Resort, Lakeside Course is the oldest golf course in Vietnam located 45 km outside of Hanoi in the shadow of Ba Vi Mountain. 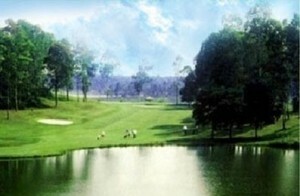 Accommodation and full facilities are available at this world-class Hanoi golf course. The Lakeside Course includes numerous and varied uses of the water surrounding the course and the gentle sloping terrain. 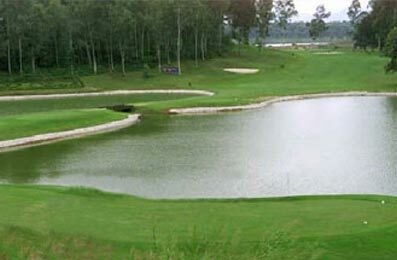 As might be expected at this Vietnam golf course, water plays a central role in the course design and comes into play on 13 of the 18 holes. Many of the hidden greens require accurate carries over the lake or swampy terrain. A favorite hole among local Vietnam golfers is the par five thirteenth, with the tee shot having to clear a gorge. Also the 572-yard seventh is another favorite, featuring a double dogleg from an elevated tee. 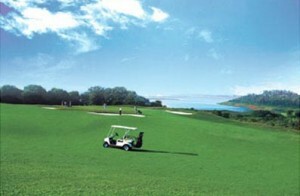 Probably the most extraordinary hole is the fourteenth, the highest point on the course affording a spectacular view of Ba Vi Mountain. 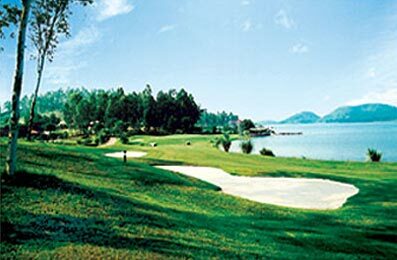 This is golf scenery in Vietnam at it's pinnacle and BRG King's Island Golf Resort and Country Club is always talked about favourably with our Vietnam golf vacationers. 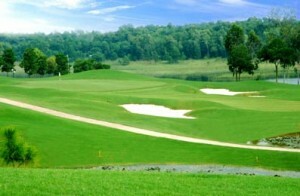 BRG Kings Island Golf Resort features a clubhouse with an excellent restaurant serving a wide range of cuisines. There is also a bar, which is a great place to relax and talk about other golf courses in Vietnam after your round. 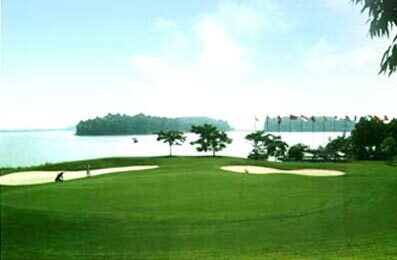 In addition to golf, this Hanoi golf course also offers other activities including sailing and fishing on Dong Mo Lake, and swimming in the club's olympic-sized swimming pool. To include BRG Kings Island Golf Resort on your Vietnam golf vacation, contact one of our Vietnam golf specialists.